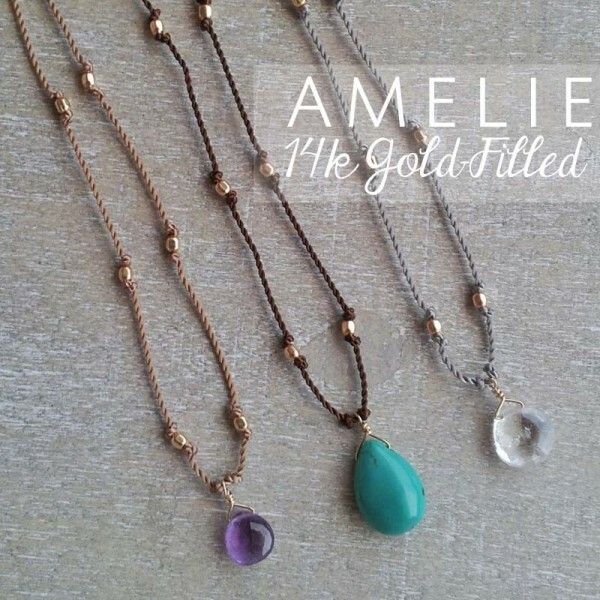 As the holiday season draws near, I am excited to introduce the very first of a collection of custom hand-knotted silk cord gemstone necklaces. 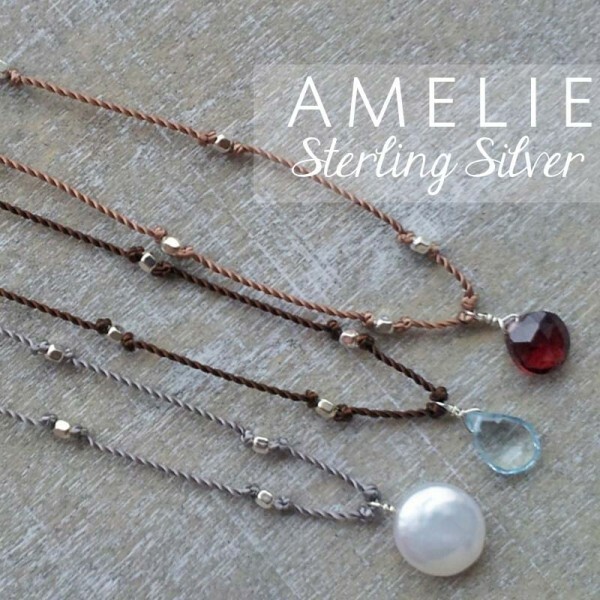 The Amelie Necklace is oh-so-sweet and would make a wonderful gift for a loved one or yourself. The delicate design is lightweight, easy to wear and loved by girls 7 to 77. 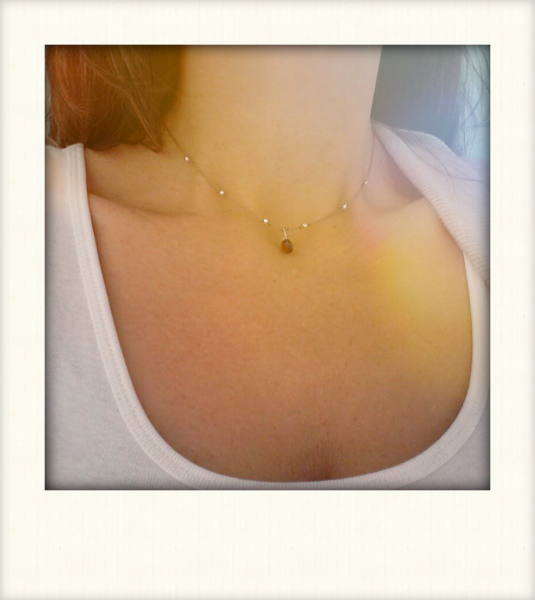 It features a single stone briolette and is available in 14k gold-filled or sterling silver.